In the thick of a difficult re-election campaign, Gov. Tom Corbett could have been tempted to place himself front and center of the effort to capture the gunman who ambushed a Pennsylvania State Police barracks, killing a trooper and injuring another. Instead, Corbett has largely stayed in the background as he allows state police officials to be the public face of a manhunt for Eric Frein, the 31-year-old survivalist who's believed to be hiding in the Poconos Mountains of northeastern Pennsylvania. Corbett spoke briefly three days after the ambush, asking the public to "pray for the soul" of slain Cpl. Bryon Dickson and declaring that investigators wouldn't rest until they captured his killer. The first-term Republican attended Dickson's funeral last week but didn't speak. And on Monday, the 10th full day of the search, he held a news conference and expressed confidence that state police would capture the man he called an assassin. "My fervent wish is that we conclude this as quickly as possible, and I'm sure that's everybody's wish out there," he said. Corbett's approach to the crisis is drawing a muted response from Democrats who usually love to bash him. The former state attorney general has not politicized the crisis, said Bill Patton, spokesman for House Democrats. "His background is obviously law enforcement and this is an area he knows well," Patton said. "He's doing the things a governor should do." For months, independent polls have shown Corbett trailing Democratic challenger Tom Wolf by a wide margin. Even his Republican allies have criticized Corbett for not doing enough to tout his accomplishments. True to form, Corbett said little Monday about his own role. "My thoughts and prayers are constantly with those individuals out there, the men and women out there who are looking for this individual, because they are doing their sworn duty," he said. "Yet they know they are putting their life on the line for someone who has the intended purpose of killing police officers." 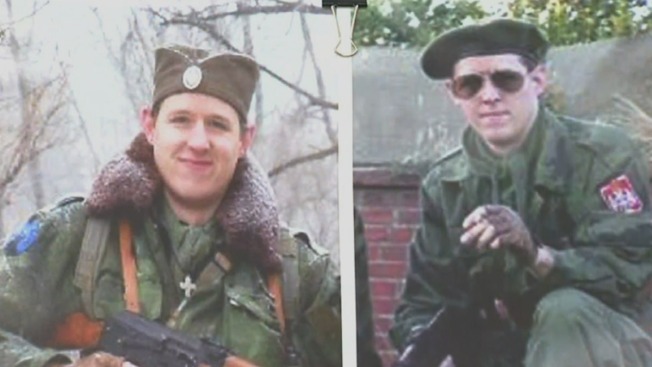 Authorities have called Frein a self-taught survivalist with a vendetta against law enforcement. They say he had been planning a confrontation for months, if not years, and believe he might be concealing himself in homemade bunkers. Trackers found items they believe Frein hid or abandoned in the woods — including an AK-47-style assault rifle and ammunition — raising the possibility he also has hidden supplies of food, water and fuel. Frein not only needs supplies to sustain himself, but tremendous stamina to secure them in difficult terrain while eluding hundred of law enforcement officials tracking him with choppers, thermal imaging equipment and other high-tech tools, survival experts said Monday. "When you teach a person to survive, you're teaching them a way to be found. There's a difference between surviving and needing to evade, and that really handcuffs you," said Erik Kulick, founder of True North Wilderness Survival School in western Pennsylvania. Frein could conceivably sustain himself by hunting, trapping or foraging, but Kulick considers it unlikely he would last long. He'd risk giving away his position by firing a gun at game; trapping takes time, patience and know-how; and it often takes more energy to find edible plants than the plants provide in return, he said. Frein could conceivably break into a Scout camp or hunting cabin to look for canned goods or take shelter, though police have said they are trying to eliminate that as a possibility. Frein is believed to have covered 15 or 20 miles on foot, the distance between the barracks where he is accused of opening fire and the woods around his parents' home in Canadensis where police are focusing their search. Ron Tussel, an outdoors expert and native of the area, said Frein initially held an advantage because he knew the terrain — a rugged, heavily forested area with large boulders, steep cliffs and wetlands. "But now you've got a crew that knows as much as he does, so that makes it a lot harder for him," he said.